Understanding long term disability claims is a complicated area of law. If you have filed a long term disability claim and were denied, you may still be able to file an appeal. It is important that you contact an experienced long term disability attorney to make sure you effectively file an appeal. 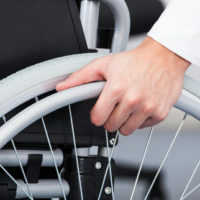 Long term disability policies obtained through an employer, are governed by federal law under the Employee Retirement Income Security Act (ERISA). ERISA provides regulation for appealing a denied initial application. Hiring an attorney to navigate ERISA will give you the strongest chance to succeed. What Must the Insurance Company Tell You About Your Denied Claim? Under ERISA, if your claim was denied then your insurance company is required to send you a written or electronic notice that tells you the specific reason for your claim denial and the necessary steps to appeal. The reason you were denied will affect how you should proceed with your appeal. For example, your claim may have lacked sufficient medical evidence of your disability. In this case, you will need to provide additional medical records to support your claim. The letter will also outline the deadlines you must meet to file a timely appeal. Meeting these deadlines is very important and should be written down and marked on your calendars. Failing to meet the appeal deadline may be the end of your long term disability claim. You should request a copy of your claim file as soon as you receive your denial letter. The request for your claim file should be in writing and the insurance company must provide you a free copy under federal law. Make sure to mail your request by certified mail with a return receipt requested so you can prove your letter was received. Also, obtain a copy of your insurance plan through human resources or request it along with your request for a copy of your file claim. Read through your plan carefully for the definition of disability because you must meet your plan’s definition to qualify for benefits. This is just a brief overview of the first steps in appealing your long term disability claim. Knowing your rights when you have been denied a long term disability claim is imperative. To fully ensure your appeal is complete and accurate, you should contact a Glen Burnie, Maryland long term disability attorney. Hiring a qualified attorney to gather all the necessary material and meet the requested deadlines is in your best interest. The appeal process is complicated and one of the last steps to obtain long term disability coverage. The Law Offices of Steinhardt, Siskind and Lieberman, LLC represents long term disability clients in Anne Arundel County, Howard County and throughout the Baltimore area. We have over 20 years of skill and knowledge handling disability insurance cases. The counsel of an attorney when dealing with a denial can be very helpful and integral in getting your benefits. Please call for a free initial consultation. If we accept your case there are no attorney fees or legal expenses unless we obtain a recovery for you.